One of my biggest pet peeves is ignorance, particularly surrounding acne and skin issues. Growing up, many people told me my skin wasn't clear due to their belief I didn't clean my skin (perhaps true when I was very young, bur still, irrelevant), or because I wore make-up which obviously is the sole cause of acne. There are several factors that trigger skin breakouts, and your skin can still breakout when you've cleansed your skin gently but thoroughly and treated it, and removed ever scrap of make-up the moment you return home. The biggest trigger for my blemishes are my hormones, however there are a few other things I find affect my skin too that I'm very much aware affect several others too. My Mum is the lady to thank for this tip! Your bedsheets in general should be washed regularly (every one-two weeks - you sweat in your sleep, shed dead skin cells which all builds up and will smell! ), but if your someone who suffers with acne prone skin, try to wash your pillowcases as often as possible. 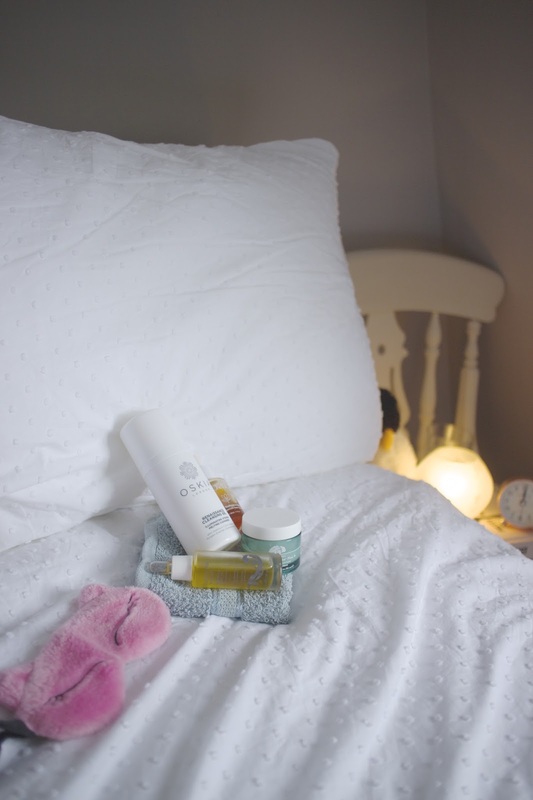 Despite going to bed with nourished and cleansed skin, your face will still produce excess sebum overnight, and the oils from your hair will spread all over the pillows. If I haven't got around to cleaning my pillowcases sooner (damn having white sheets and needing to do white washes! ), I notice it in my skin. The cleaner your pillowcases, the clearer your skin. Similar to the pillowcases, your face cloth or muslin cloth should be used twice maximum and then washed. These face cloths are exfoliating away dead skin cells, bacteria and excess sebum - and the exfoliating can occasionally pop a spot (grimy, I know). That's even more grime being spread all over your face. Pop into Primark or a cheap retailer and pick up a couple of packs of their cheap face cloths. This means you should always have plenty of clean cloths to use. Start with a fresh one in the morning, and use them once again in the evening and then wash on a hot wash. Easy peasy! Whilst I most certainly can live without coffee, I do enjoy a little cup every few mornings. However, coffee seriously dehydrates the body and is often most visible in the skin. Whilst I was writing my dissertation, I spent about two months straight in my favourite coffee shop Monday-Friday rioting and reading away, drowning my stresses away in several daily almond milk cappuccino's (I hope to never find out how much it all actually cost me!). My skin started to look dehydrated, greasy and lost its natural glow. Coffee is also highly acidic, which affect your stress hormones, leaving your hormones balanced and more prone to waking up with an eruption of blemishes. If you really need a morning latte, ensure you drink a big glass of water with every cup to maintain hydrated. Also, try Matcha Green Latte's or herbal tea's, particularly green tea, for a more hydrating energy kick first thing in the morning. Clean. Your. Damn. Make Up. Brushes. There's nothing worse than trying to apply make up with grubby make up brushes, thick with excess product and general grime. For anyone with acne prone skin, the brushes will be picking up and swiping bacteria across your face if you aren't properly cleaning your brushes regularly. If you're cleaning them regularly enough (preferably once a week), it won't be such a chore, nor will it be as difficult to clean. I recently picked up the new Real Techniques Deep Cleansing Brush Gel and it has made cleaning my brushes so much easier. I've always sworn by Johnson's Baby Shampoo but this stuff is brilliant and picks up the dirty make-up much easier. My skin is also a billion times better when I have clean brushes, and my make-up looks dreamy too! Think of your skincare regime as a really good sandwich. An actual sandwich should have a few good, necessary layers, nothing over fussy. If you've ever had a big sandwich with about 10 different layers, your body usually feels pretty bloated and doesn't know what to do with all of the food. Likewise with skincare, too many acids, treatments, serums, and rich creams will leave your skin feeling heavy with product and noble to drink it all in. It will most likely, as a result, cause your skin to breakout because it was all too much for it to swallow. Think of your cleanser as the first piece of bread and the moisturiser as the piece that goes on top. An acid toner, a serum and an oil will all do nicely between those two layers and will be just enough for your skin to drink up. Overcomplicating things will only make your skin worse. I truly believe one of the biggest factors towards skin breakouts is diet, especially a diet full of processed, sugar laden foods. It can be quite easy to act as if those few chunks of chocolate we had at 11am never happened, or that we totally drank 2.5litres of water today when it was more like 2.5 glasses. Get yourself a diary of some sort and really write down what you're having. That includes every meal, snack and drink - yes, those mojitos at the weekend count! Then, each week re-read your notes and analyse whether or not any of those foods correlate with some of the breakouts you're having. You may be surprised at the results but it will make you think twice about what you're eating and you'll soon see the results in your skin. Do any of these things cause your skin to freakout and erupt in spots? What helps clear your skin up and keep it glowing?